We are listed at the apex to manufacture and supply a qualitative range of the Solenoid Valve, which is widely demanded in the market. Resistant to abrasion and wear and tear, these are highly durable in their characteristics. In addition to this, the whole range of the solenoid valves offered by us is highly regarded for its fine finish, easy installation, and resistance to corrosion. 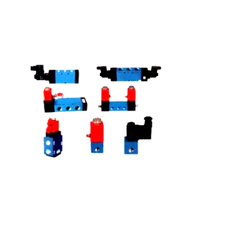 Aiming at highest level of patron-satisfaction, we are involved in manufacturing, supplying and exporting a commendable range of Steam Solenoid Valve. Manufactured with stainless steel, hastelloy, and nickel, mild steel or titanium, these valve are highly suitable for industrial applications. Owing to their excellent storage capacities, these tanks are widely installed in different industries. 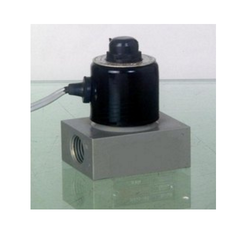 We bring forth an outstanding array of 2 Way Solenoid Valves, which is highly popular in the market. Easy to maintain, it is widely considered among the patrons we have. Highly regarded for its easy installation, durability, and smooth finish, the entire range of the solenoid valves offered by us is widely applauded among our client-base spread across the entire nation. 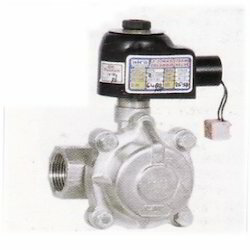 We deal with Solenoid Operated Valves that are electromechanical valves for use with liquid or gas. 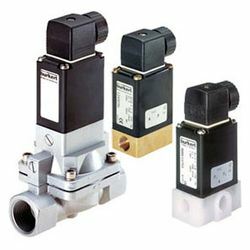 These valves are controlled by an electric current through a solenoid coil. Their tasks are to shut off, release, dose, distribute or mix fluids. They are found in many application areas. The offered product is extensively used in numerous industries. Our respectable clients can avail this product at affordable prices.